Omrania, a leading architectural and engineering consultancy practice based in Saudi Arabia, said it has won an international competition to design King Salman Park, which is set to become the largest city park in the world. Spread over a sprawling 13.4-sq-km area, King Salman Park will take shape on the grounds of the old airport in Riyadh. One of the kingdom’s ambitious projects, King Salman Park was recently launched by King Salman bin Abdulaziz along with three other well-being projects worth $23 billion in the capital Riyadh mainly aimed at improving the lives of its citizens besides transforming the city into an attractive destination and making it one of the world’s most livable cities. The other three – Sports Boulevard, Green Riyadh and Riyadh Art – complement the Saudi Vision 2030’s “Quality of Life” Program and are aligned with the UN Sustainable Development Goals, to create sustainable cities and communities, while driving urgent action against climate change. With this project, the government aims to provide a rich variety of options in sports, culture, art, entertainment for Riyadh citizens and visitors. A green oasis in an urban setting, the giant leisure facility will have various gardens covering more than 400,000 sq m; a circular pathway running 7.2-km long for pedestrians; a valley area of over 800,000 sq m; and various water features which total over 300,000 sq m.
The King Salman Park will also boast residences and hotels besides featuring a Royal Arts Complex, theaters, museums, cinemas, sports venues, water features, restaurants and an 18-hole Royal Golf Course. Besides this, it will be home to several landmark assets, including the Riyadh Fountains and a Vertical Garden. 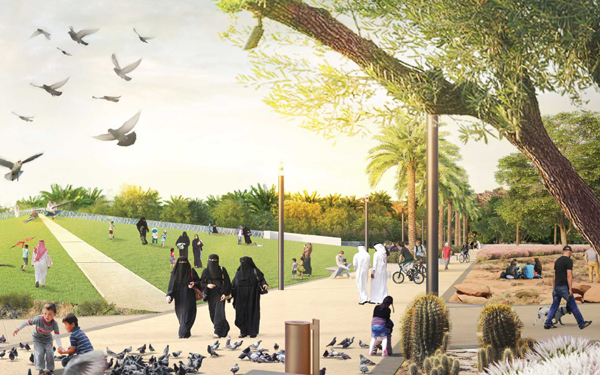 The park will be at a strategic location in the heart of Riyadh linked to six main roads and highways. It will be connected to King Abdulaziz Public Transit Network through five metro stations on the Green lLine and 10 bus stations of Riyadh Bus Network. The multiple links make the King Salman Park accessible from almost every part of the city. 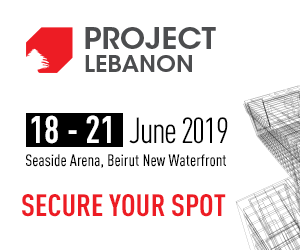 As an environmentally sustainable urban development, it will offer opportunities for the international community in arts, entertainment and culture. A major player in the Saudi market, Omrania has also worked on international projects in 11 countries in the Middle East (in addition to Saudi Arabia) and North Africa and five countries in Europe.